For separating the whole into increments that we may comprehend it, we are thankful. For connecting us that we may be one, we are thankful. For providing us with so many interesting questions, we are thankful. For giving us teachers that we may learn, we are thankful. For this ḥallah, and the portion of dough we take off before we bake it in order to sustain high priests, artists and those who are in need, we are thankful. For the guidance and joy and music and knowledge that our clergy give to us, we are thankful. For the seed and the farmer and the picker and the miller and the baker and the trucker and the store owner and the shopper, who brought us this ḥallah that we bless together, we are thankful. For the parents and the family and the partners and the friends and the teachers and the ḥevruta and the congregations who brought us to this moment that we may eat together, we are thankful. (sing) Barukh ata Adonai eloheinu melekh haolam, hamotzi leḥem min ha’aretz. Trisha Arlin shares “Motzi”, a kavvanah (intention) for the blessing, Hamotsi Leḥem Min Ha’aretz, over ḥallah. 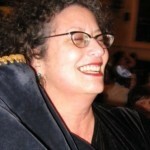 Describing the kavvanah she writes that it’s based on Rabbi Ellen Lippmann’s tradition on having us create a chain of touch around room that leads to and from the ḥallah, which she then explains as both exemplifying the connection created when people eat together and the chain of work that went to creating the ḥallah itself. A less generic version of this motzi was written for the service recently held in honor of the ordination of Cantor Lisa B. Segal and Rabbi Molly Kane. 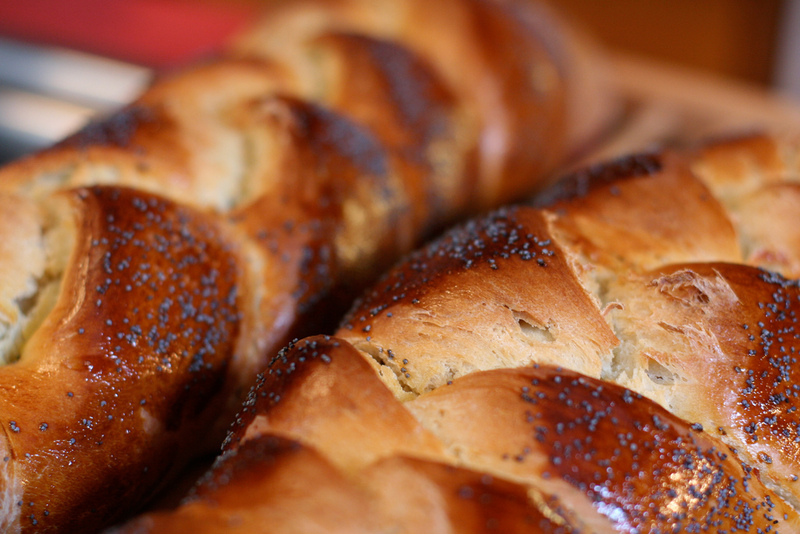 “Motzi — a kavvanah before eating ḥallah, by Trisha Arlin” is shared by Trisha Arlin with a Creative Commons Attribution-ShareAlike 4.0 International copyleft license.